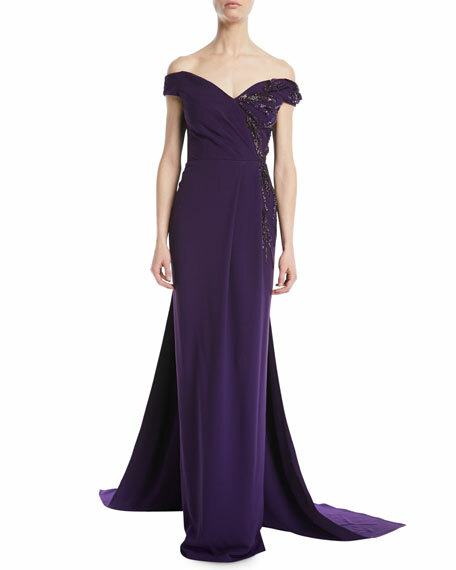 Pamella Roland stretch-crepe evening gown with crystalized-beading. Pamella Roland spun her creativity and artistic ambitions into her self-named collection in 2002. 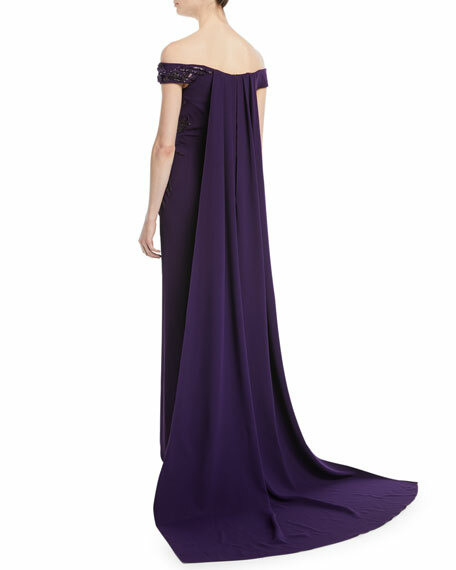 From chiffon and silk woven evening gowns to cocktail dresses, Pamella is involved in every aspect of the design process. To highlight their early success, the Pamella Roland collection received the prestigious 2003 Gold Coast Award. In 2010, Pamella was inducted into the Council of Fashion Designers of America (CFDA). For in-store inquiries, use sku #2573228.